Congratulations Rio Rapids Soccer Club - On Your New Website! 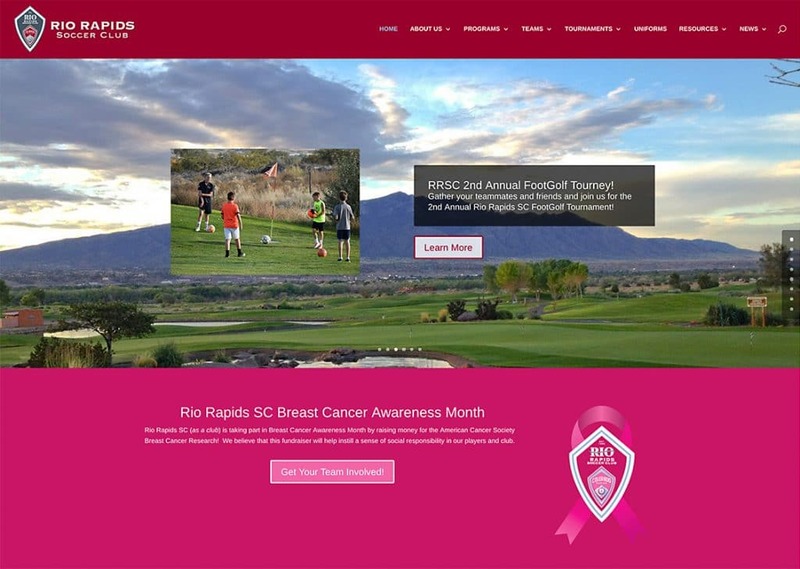 Congratulations Rio Rapids Soccer Club – on your new website! LionSky is pleased to work with the premier soccer club in New Mexico. Rio develops elite soccer players from 3 to 19 years old. If you’re looking for a positive and nurturing environment for your kids, contact them today! We are pleased they are ranking #1 For Albuquerque Soccer Club in GOOGLE Organic Search Results, AND GOOGLE Maps! If you want to rank #1, contact LionSky today!